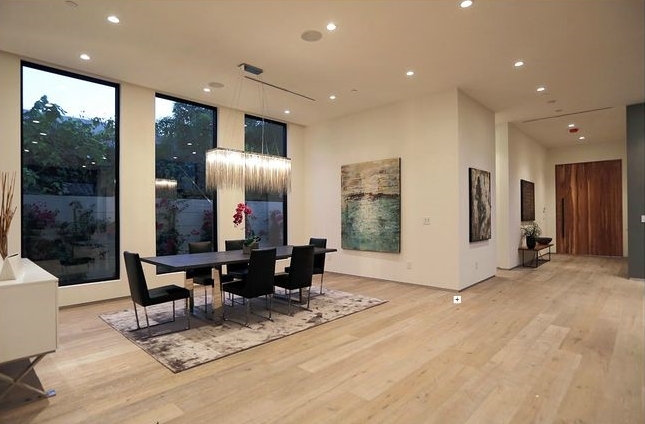 Spectacular cutting edge new construction design in prime Beverly Grove-West Hollywood location. Expansive open plan with stunning designer finishes and attention to detail, this home features over 4300 sq ft, an Italian kitchen with designer appliances, five spacious bedrooms, five and one-half designer bathrooms with Italian vanities, grand open staircase, private bedroom balconies, a nearly 300 sq ft covered patio with fireplace and all the amenities and smart home systems expected by today's lifestyle buyer. New and unique features include a sunken conversation area, open sky upstairs patio with fireplace and large front bedroom balcony. Private entertainer's backyard, with gorgeous zero edge pool and spa. Bright light filled open floor plan as never seen before. Close to hip restaurants and shops. This is a must see property!